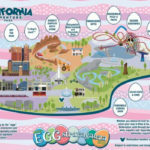 Just in time for National Popcorn Day (well, actually, a day late), Disneyland Annual Passholders can take advantage of a special promotion involving the salty treat. 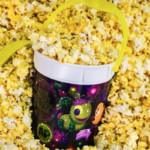 Starting tomorrow and running through March 19th, APs will be able to purchase exclusive refillable popcorn bucket in two designs — one which features the Main Street Electrical Parade in Disneyland and another in Disney California Adventure. These buckets will sell for $15 and entitle APs to $1 refills until April 16th. Note that this offer is only valid at select locations (see the list below).